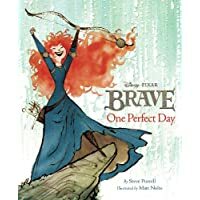 Brave is a fairy tale set in medieval Scotland and brought to life by the Pixar animators - all of which makes for beautiful art and a great story. And sometimes you can't get enough of either, which is where special art books and movie guides come in. Animators for Brave spent some 19 days in Scotland researching the gorgeous landscapes seen in the movie. And it shows. Everything from the rolling hills to the stone circle is based on actual locations in the highlands. 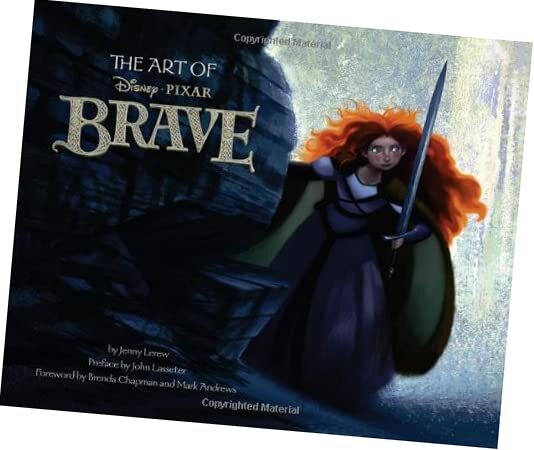 This book features behind-the-scenes interviews with the film's many artists, showcases the concept art that went into the creation of the movie, including color scripts, storyboards, character studies, environment art, sculpts, and more. Detailed guide covering all the characters, locations and key themes of the movie. 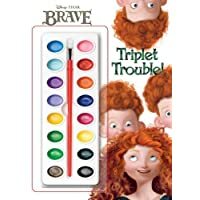 Not sure how closely the tie back to actual locations, but should be a great addition to any Brave library. 48 pages. Kids can really get into the story of the movie with activity books featuring the various characters. And these fall into different categories to appeal to different age groups as well. These have all been released now at Amazon. Double check when you order as well, because most are eligible for the 4-for-3 promotion! 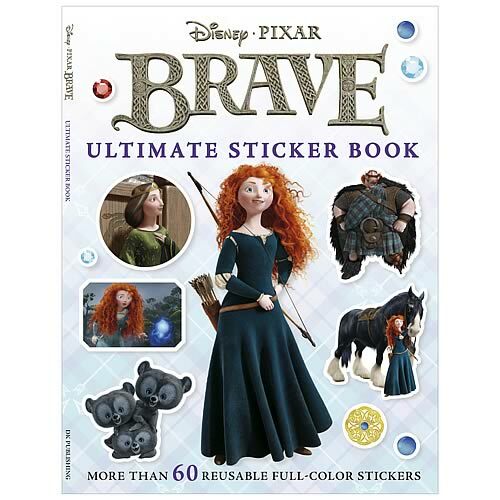 This is a 16 page paperback sticker book with more than 60 stickers to be used in the scenes shown throughout the book. Stickers include all the characters (even in bear form!). 12 pages of fun and based on past books, probably will have at least 40 stickers to play with. Similar to the above, only shorter and with fewer stickers. Brief synopsis of the story, then walks you through drawing each of the movie's characters. Based on the Tangled book, I'd expect to see Merida, Queen Elinor and the rest in their standard poses seen in promotional materials. Do You Like Book/Movie Tie-Ins? Thanks for voting! I'm sure you're right. Here we're looking at books meant for older kids, ones who can read for themselves or are learning to do so. The books that come out first tend to follow the movie story, but they often come out with more that tell other stories about the various characters. Chapter book of 128 pages telling the direct story from the movie. Includes eight pages of full-color images from the movie. Ages 8 and up. 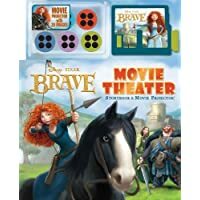 Tells the story of the movie and comes with a little movie projector and six pictures to project on the wall as you read the book. Titled Merida's Wish. Typically different stories and lots of pictures. Ages 6 and up. Titled Big Bear Little Bear. Targeted at beginning readers and tend to tell one scene from the movie. Ages 4 and up. Titled A Mother's Love. Same as above, just a different story. Ages 4 and up. 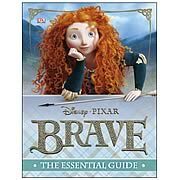 Given that Brave is an animated movie, picture books are an easy match. Most will be short versions of the movie story, some new stories that explore different characters. As with all board and picture books, meant for very young kids. 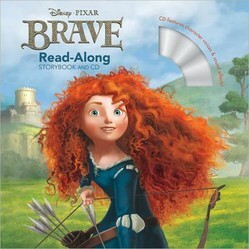 Jacketed picture book featuring an original Merida story and artwork from one of the animators. Ages 4 and up. Four board books in a box with a handle. Meant for ages 1-4. Direct retelling of the movie story. Ages 2 and up. Titled A Friend for Merida. Looks like it'll be the story of when she first meets Angus. Picturebacks generally are a different story than the movie and come with stickers. Ages 3 and up. Titled Magic in the Mist. Looks like it'll be about the Wisps. First time they've offered this kind of book, so who knows exactly what it looks like? Ages 2 and up. Much longer version of these classics. Ages 3 and up. Ideas for a medieval party in keeping with Brave as well as official Brave birthday party supplies. Dress up like the Brave characters. 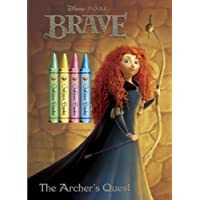 Will You Read Any Brave Books?